This is a lovely mahogany inlaid card table in superb showroom condition. 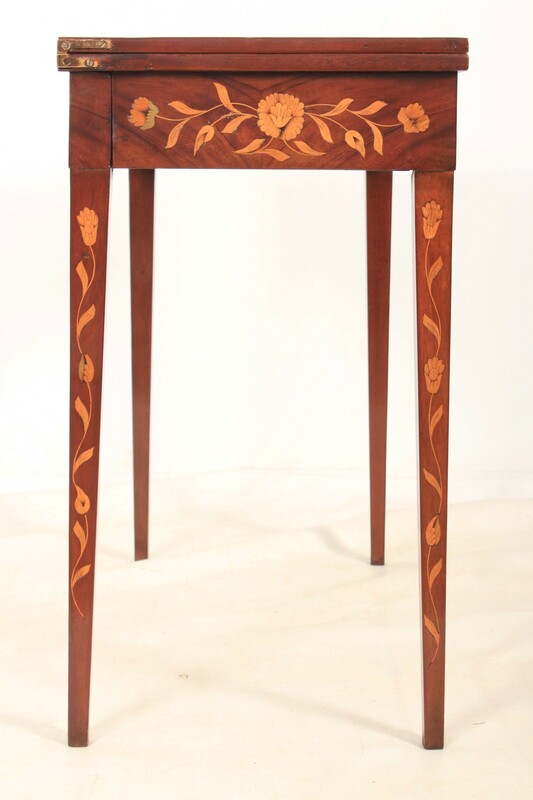 Boasting beautiful floral inlay on the top, sides and down the legs. The back legs pull out to reveal a drawer which supports the fold over top, the top has a green baise playing surface.